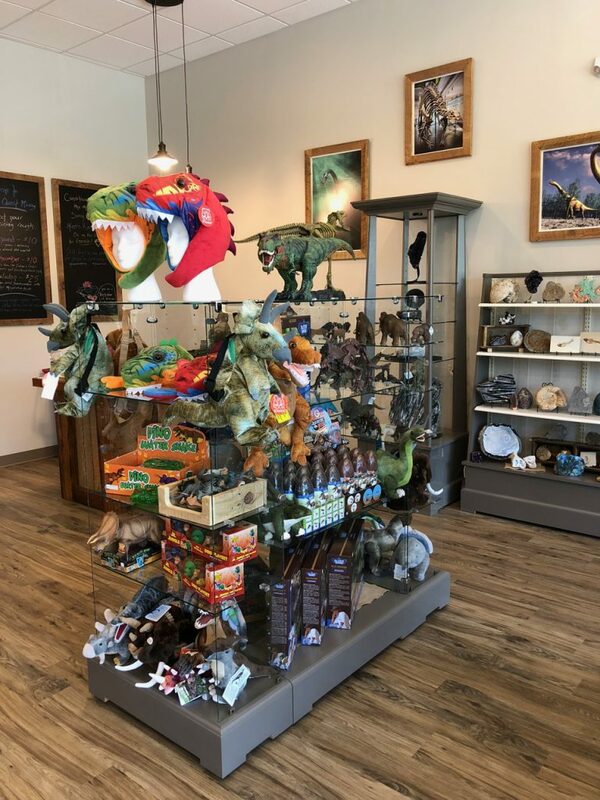 We invite you to visit us in Apex and explore our Prehistoric Gift Shop in person. 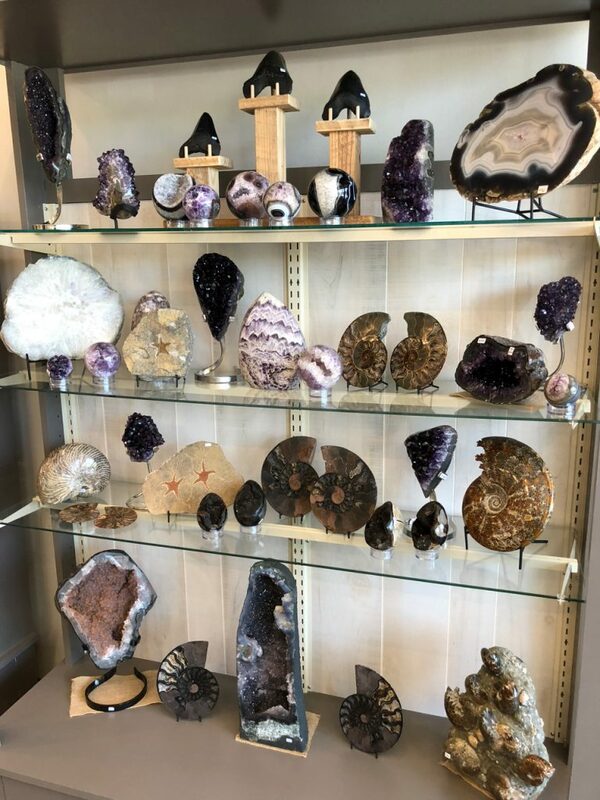 We carry an incredible collection of authentic fossil specimens, crystals and gemstones, geologic treasures, and unique and entertaining prehistoric-themed toys. 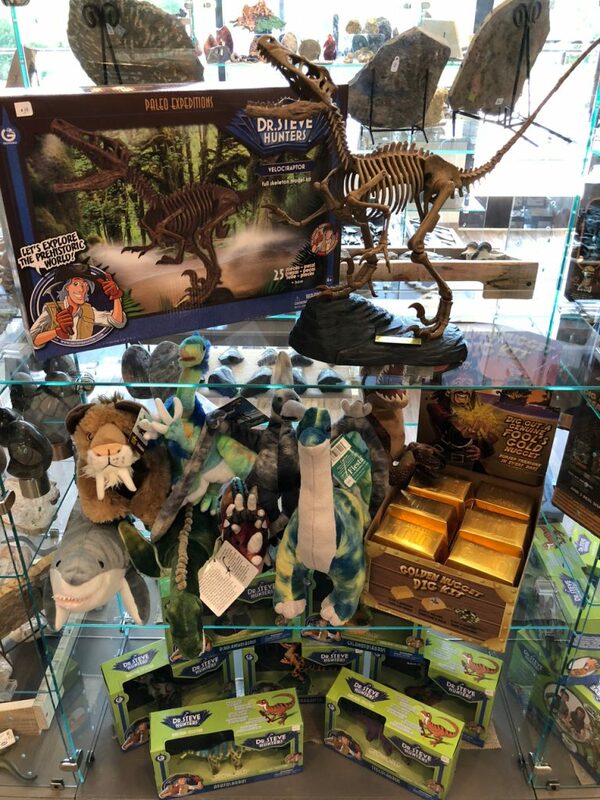 Our treasures are perfect for the rockhound, junior paleontologist, or collector on your gift-giving list! 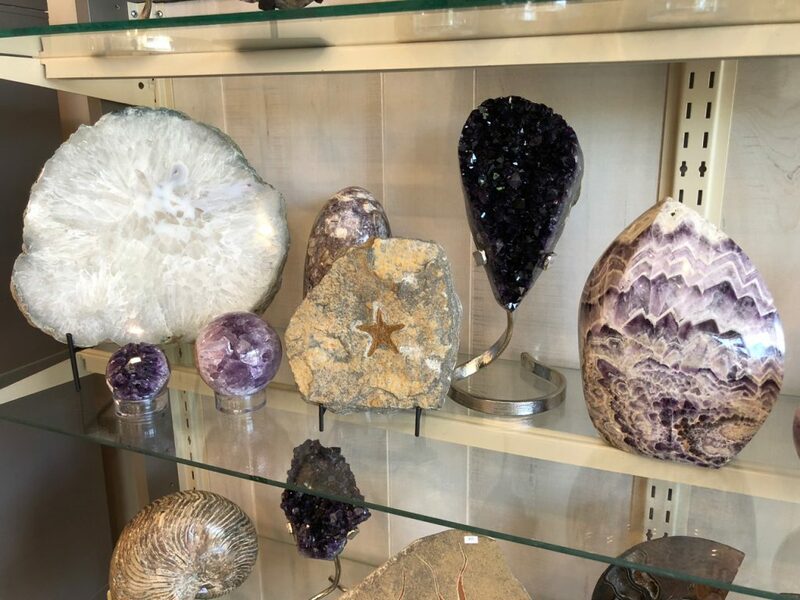 Our treasures make excellent additions to the home, serving as breathtaking conversation starters or just that little extra something to brighten a room. 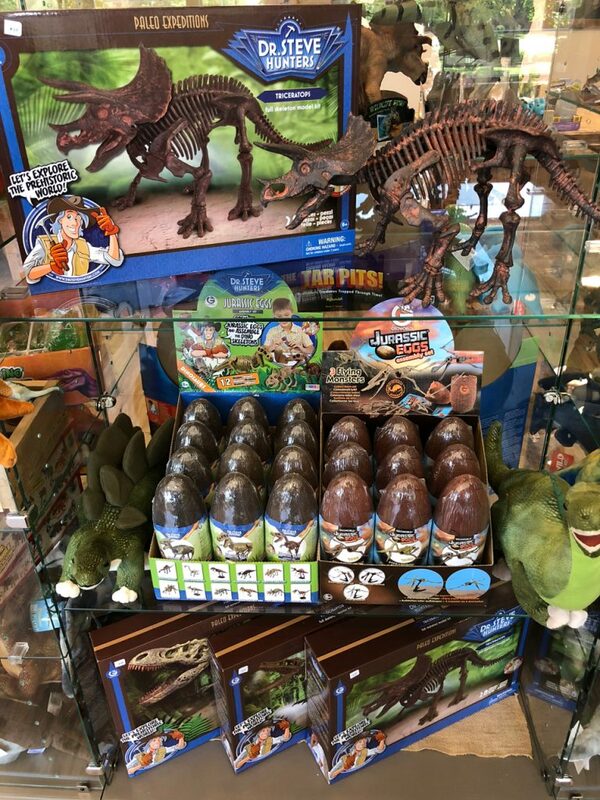 We have the best dinosaur gifts too! 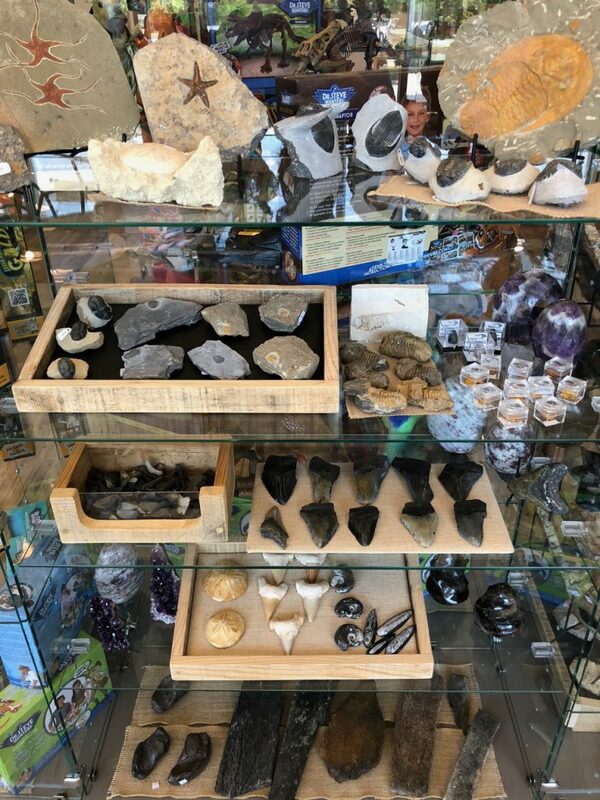 And we carry an assortment of stones for the metaphysically minded. If you can’t find what you’re looking for, be certain to ask us! We would be happy to find it for you. 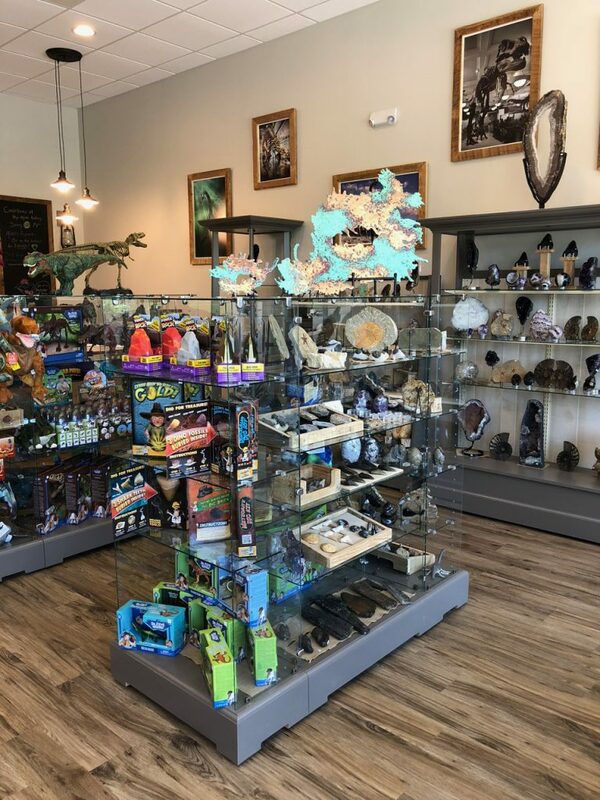 However, if you’re not able to swing by, you can explore and purchase our treasures online by visiting YouWillDigIt.com! Note, with the hustle and bustle of running our brick-and-mortar location, our online shop’s shelves are light. In due time, we will bolster our offerings online, we invite you to check back frequently. You can also purchase gift certificates for use in our brick-and-mortar store. They are available in-store or online. 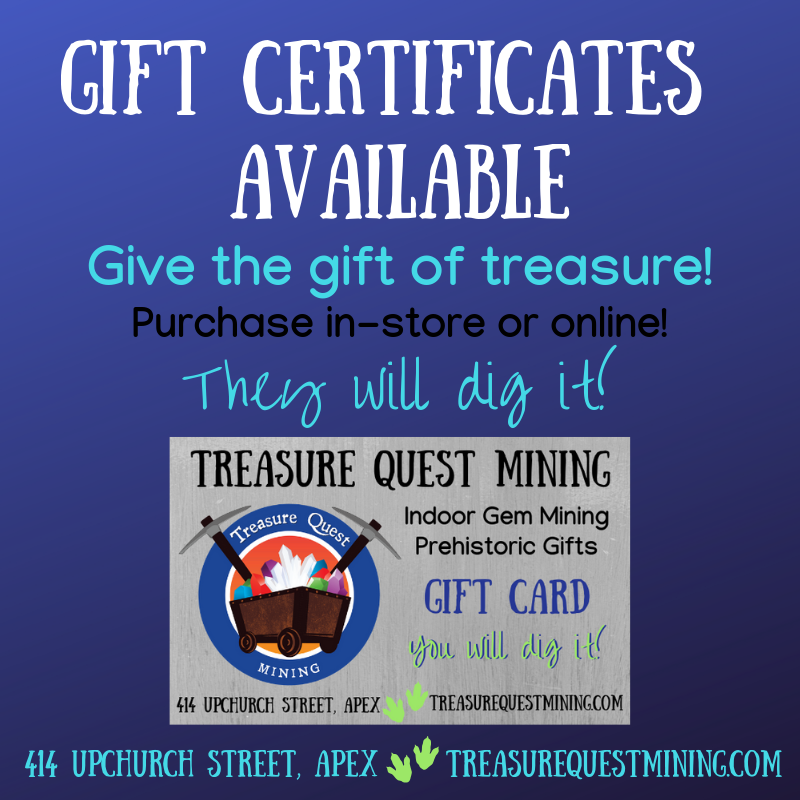 Please note that our gift certificates can only be redeemed for in-store purchases only. 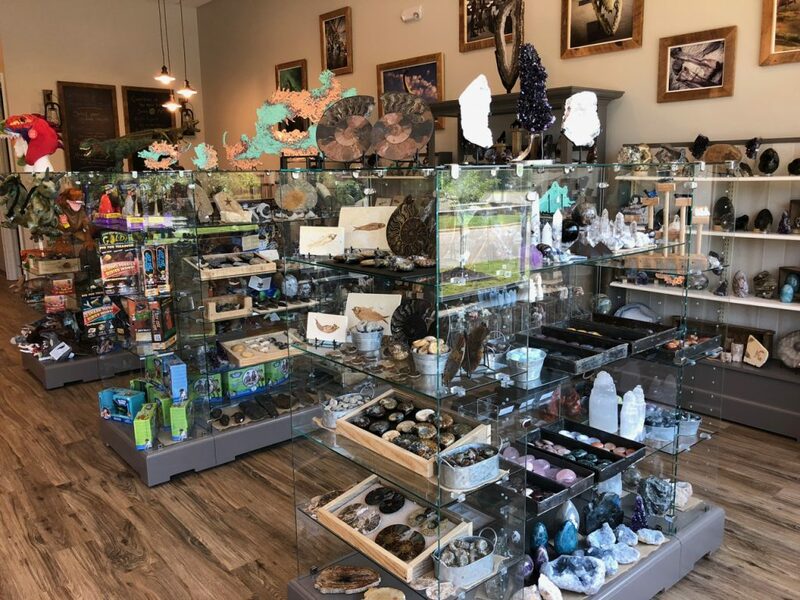 We invite you to explore our collection of incredible treasures at our store! 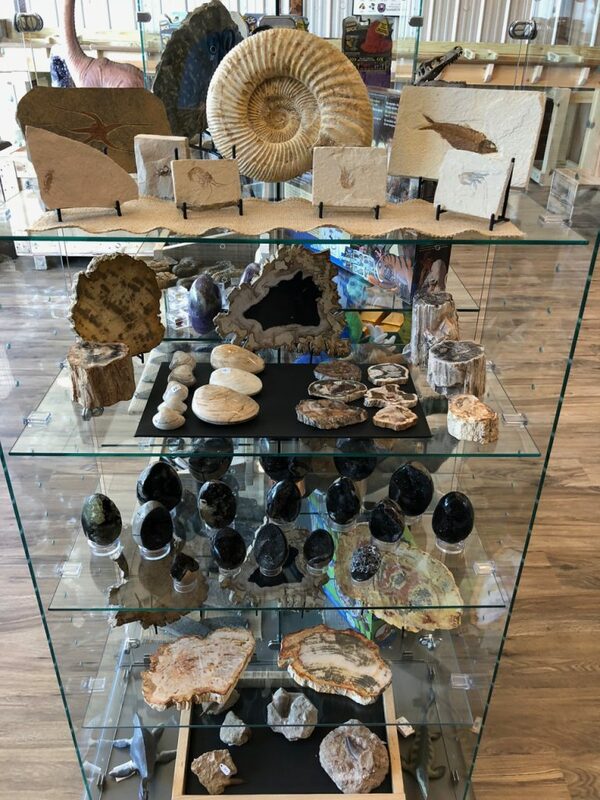 An incredible array of spectacular fossils and gemstone treasures are in store for you! 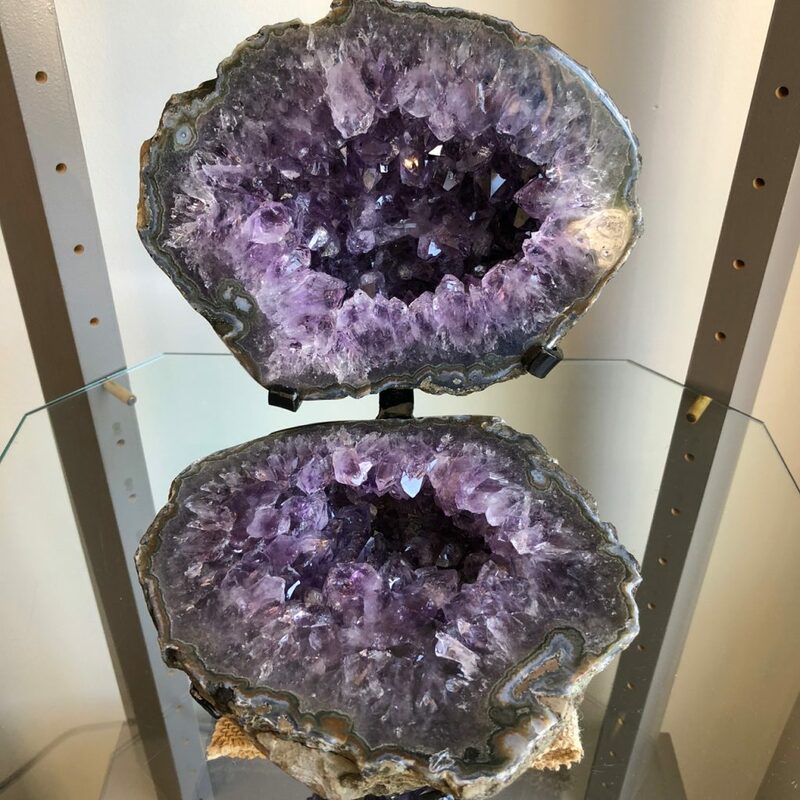 Breathtaking amethyst specimens from Uruguay. 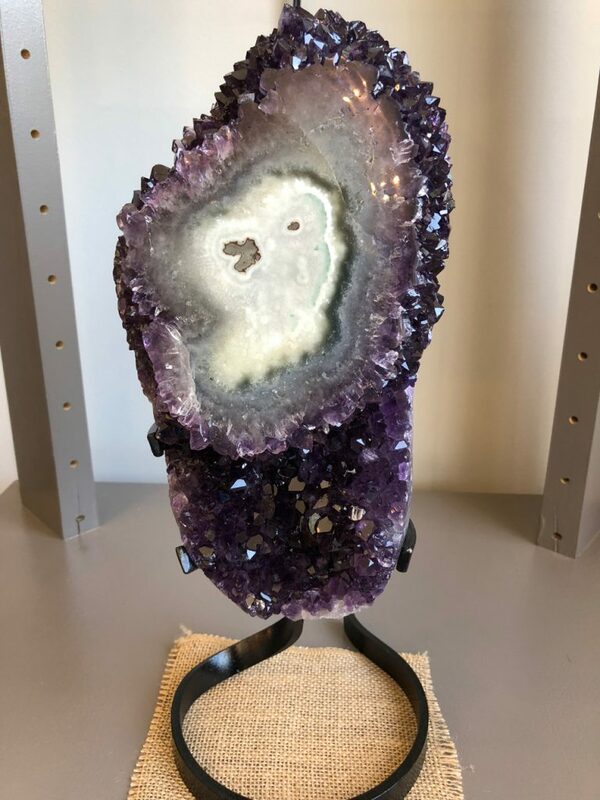 Incredible amethyst geode from Uruguay. 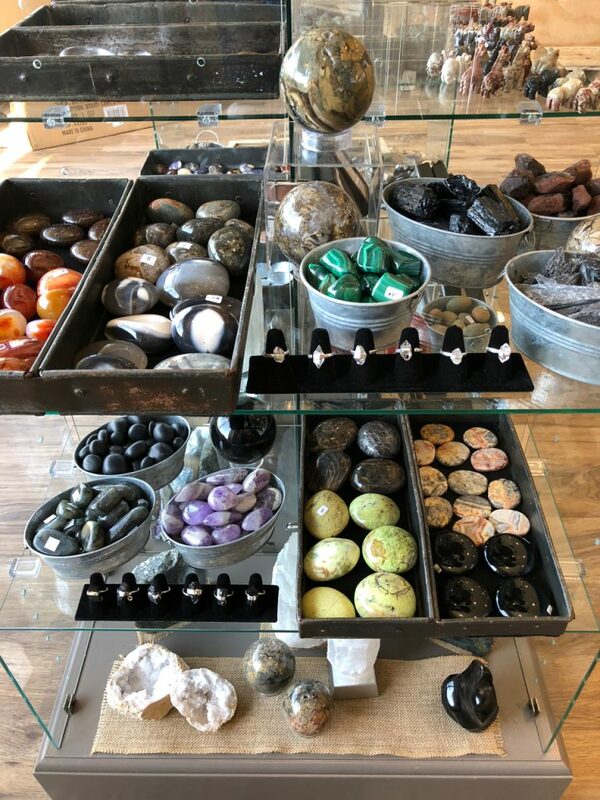 We carry palmstones, happy stones, tumbled and natural pieces, perfect for your collection or the metaphysically minded. 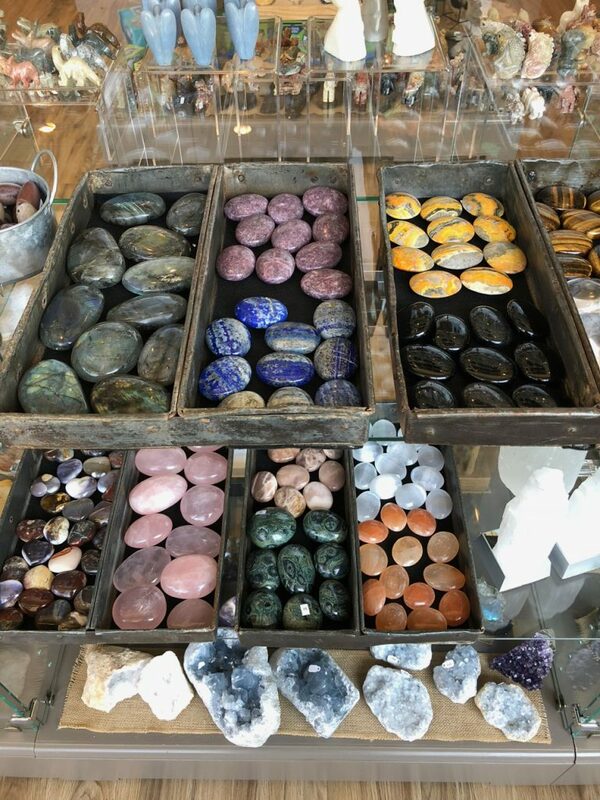 Our incredible selection of palm stones will appease your inner rockhound. 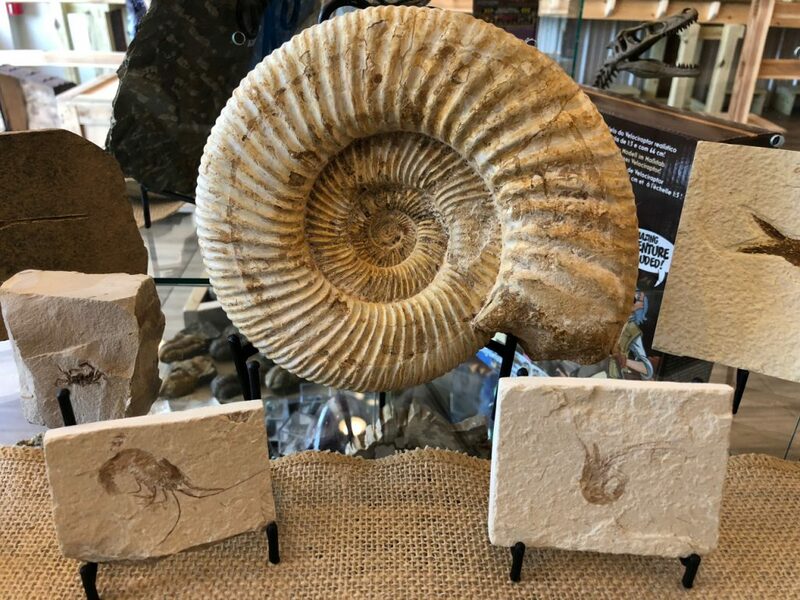 We love ammonites! 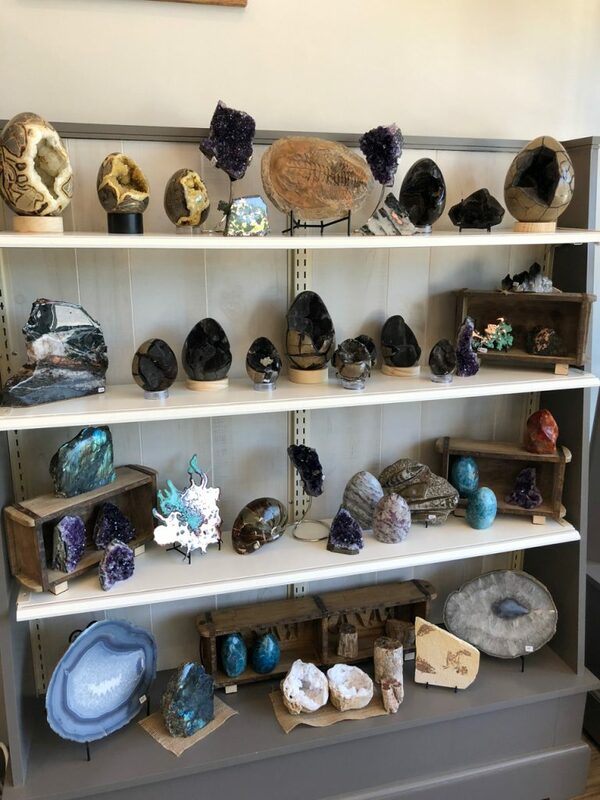 You can find just about any shape, size, or species in our store! 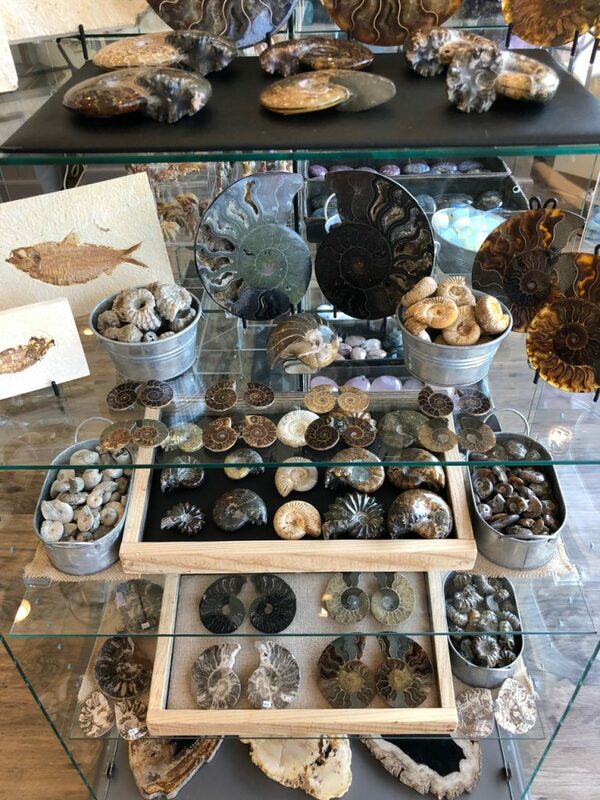 We carry a vast collection of sharks teeth, trilobites, and other marine fossils you will enjoy exploring. 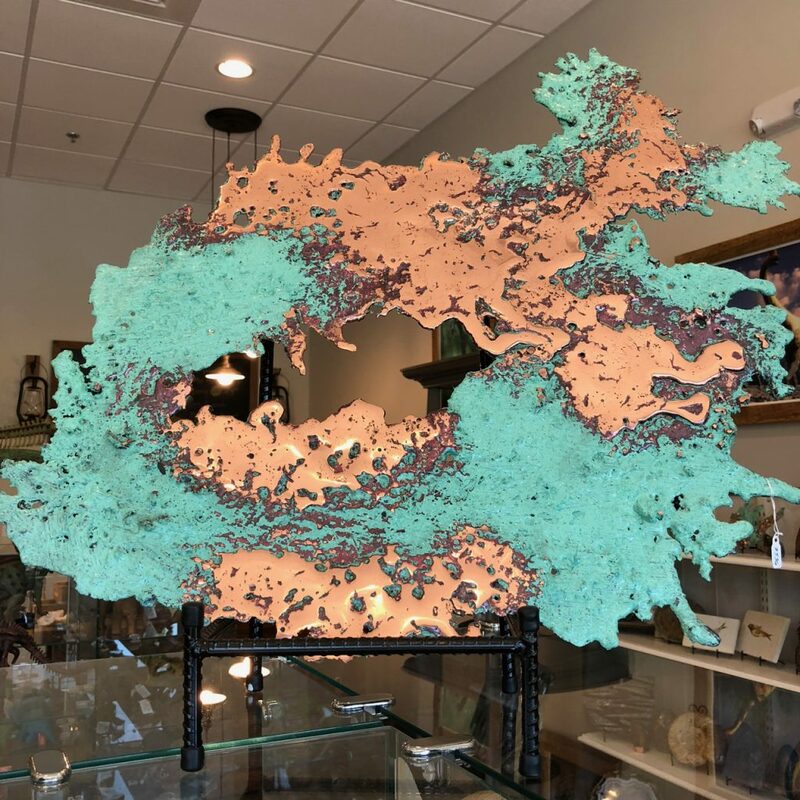 We even have great handcrafted pieces like this copper splash from Michigan. 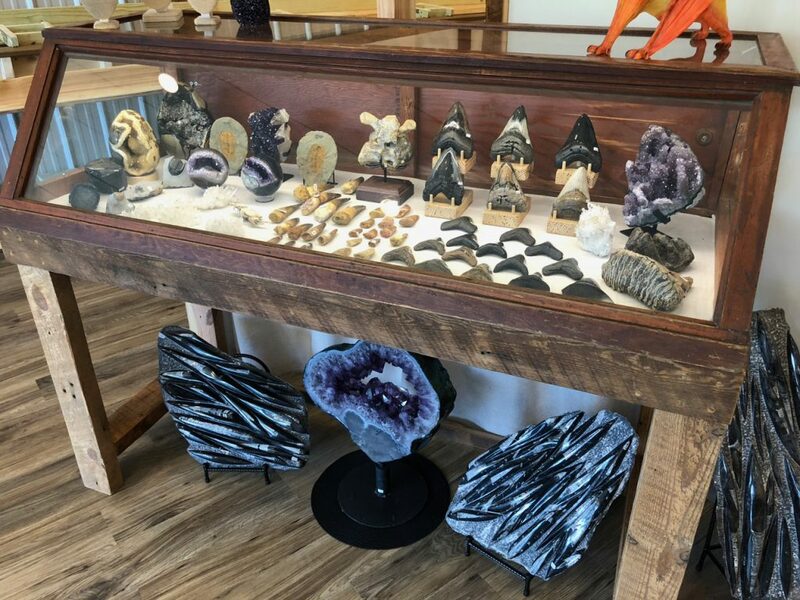 Explore our petrified wood and septarian collections! You will dig it! 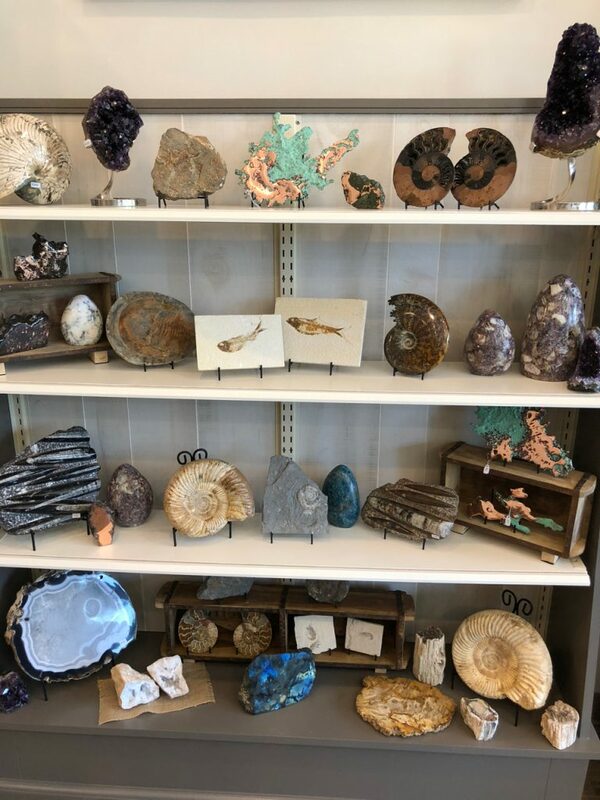 You will enjoy browsing our collection of fossilized crustaceans. 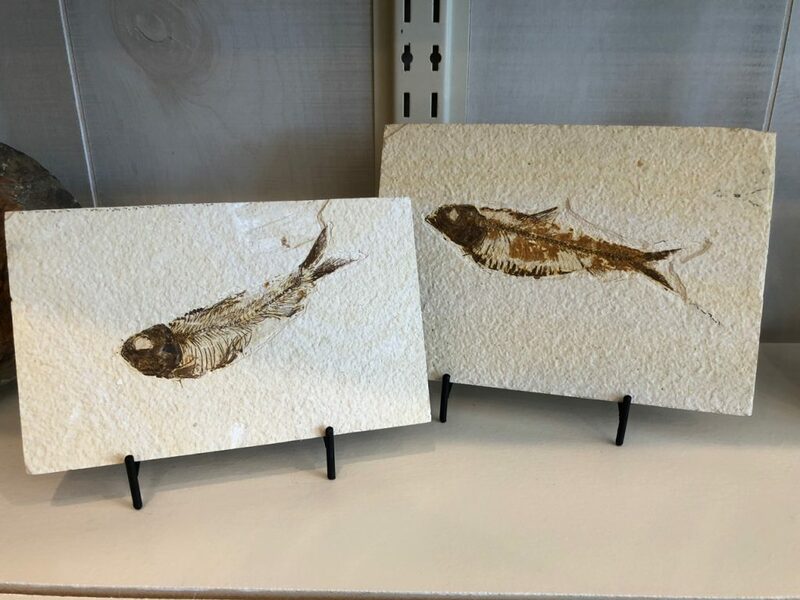 We even have fossilized fish from Wyoming! 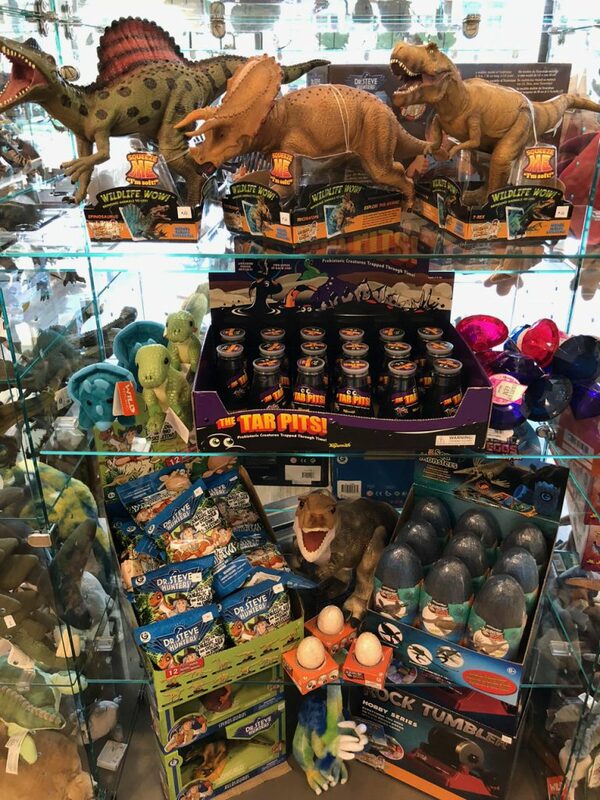 And for the dinosaur fan, we have a fantastic assortment of dino-themed collectibles. 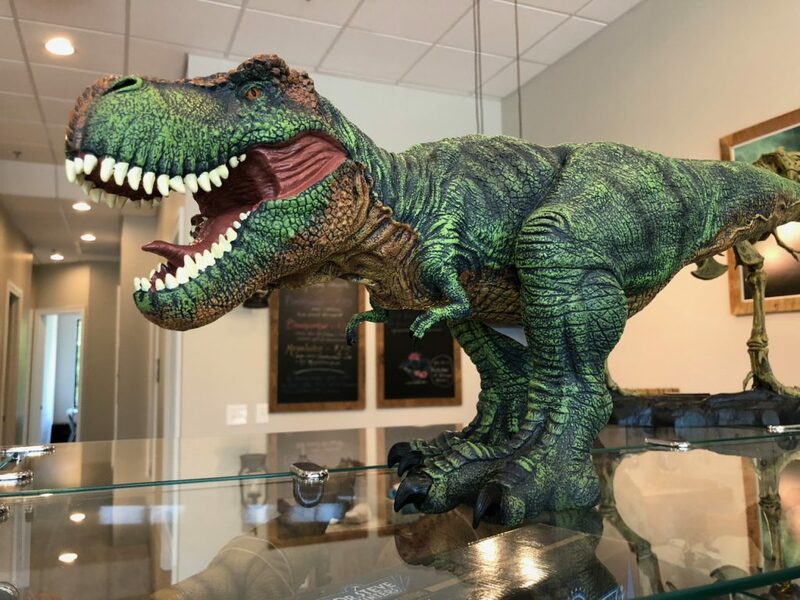 We really dig this guy home we’ve named, Big T. Swing by and check him out! You will enjoy exploring our treasures, including authentic dinosaur teeth! 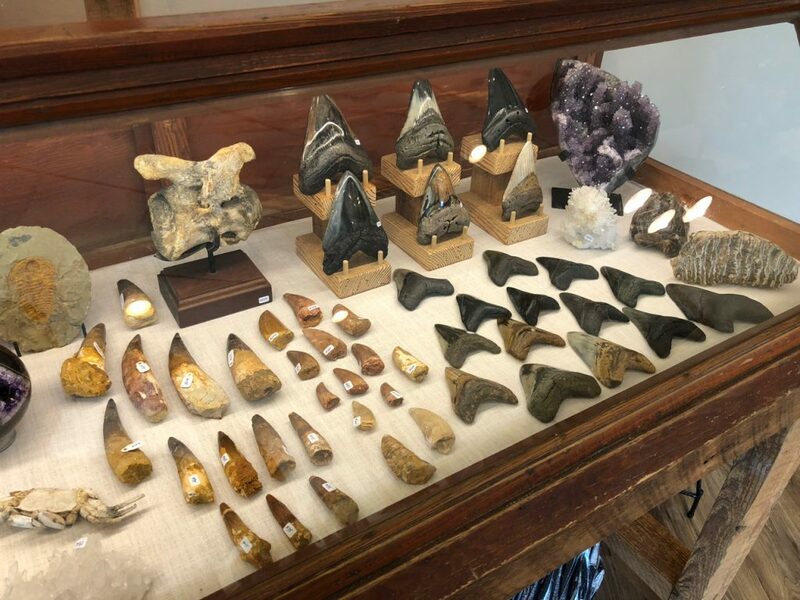 You will be amazed by our collection, including mammoth and megalodon teeth!